Red shoes, vest and a bowtie? It’s the perfect recipe for adorable. I still can’t resist this photograph of this little toddler that had just learned to walk a month earlier. We arrived at the Highline in NYC and Mom got her little man dressed into this outfit on the bench. She stood him up, and he just looked at me really quick, and then suddenly grabbed his vest almost as if to say "Don’t I look adorable?" If you ask me, he was so stinking cute! 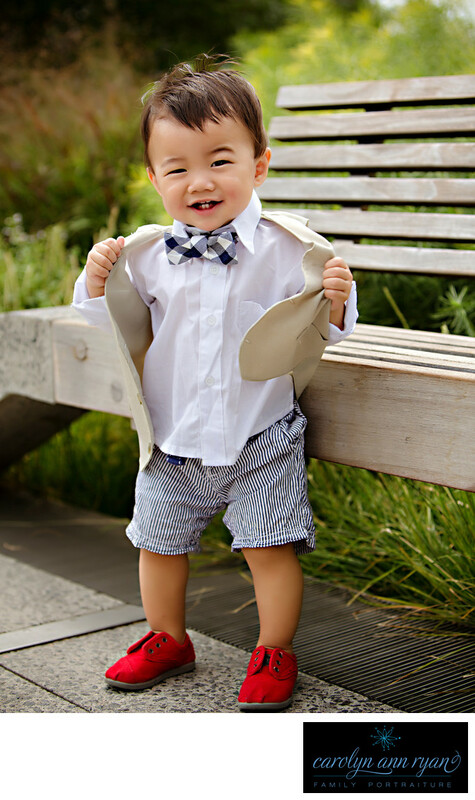 Perfect for a portrait session.Keywords: baby teeth (9), bow tie (6), bow ties (6), boys (120), Summer (69), Sunday best (9), toddler (39), toddlers (45). 1/1000; f/3.5; ISO 100; 70.0 mm.